The needle isn’t moving like you forecasted. The smattering of interest, difficulties reported by sales and lack of won deals has you scratching your head – and you realize significant additional resources are going to be required to right the ship. If you’ve had experiences like the above, you’re in good company. CSO Insights’ Sales Performance Optimization Study reported that nearly half of B2B sales leaders feel that their teams need improvement in effectively introducing new products to the market. Estimates indicate that there are a significant percentage of product launches that fail, more than 65 percent from some sources. There is no one-size-fits-all product launch formula that guarantees success. Different industries, target markets, regions, etc. require different approaches. But there are some general checkpoints to hit to develop your own winning product launch plan. Philosopher George Santayana famously said in 1905 “Those who cannot remember the past are condemned to repeat it.” Ensure you don’t repeat past mistakes and tap into organizational memory. Create a safe environment for development, sales, marketing, product management and other teams to raise up lessons learned from previous product launches. Even experience from outside your organization is valuable. One of the most common learnings is to give due priority to marketing and communication. Ensure product development isn’t a black-hole that devours product launch schedules and resources for other areas, especially marketing. Get the marketing team involved early, with target market research through internal and external communication and promotion. Market research and hard (not anecdotal!) data from prospects and clients should have clearly uncovered the problem your product solves for them. If this can’t be clearly substantiated and articulated, there are dark clouds on the launch horizon. Consider very carefully whether proceeding without this data is in the organization’s best interest. The same holds true as you hit milestones during product development. Make sure you’re acting based on market needs, not emotion. Don’t be afraid to determine that your baby might be ugly. Change what needs to be changed based on what prospects and clients are telling you. An option to consistently know and incorporate market data during development is to make use of social media. Provide a pre-launch offer to prospects, clients and followers to get at opinions and ideas about your product. Many organizations (Google, for one) have conducted focus groups, market testing, and beta launches via social media and made smart product adjustments that contributed to a better product launch result. Now it is essential that your product launch formula includes significant time and effort to nail down clear, cogent product messaging. Your key message needs to quickly and effectively articulate how the product solves the market problem, and it needs to be customized based on audience nuances. Product messaging needs to excite your client base, educate your prospects and create movement toward buying decisions. When your target markets receive your product messaging, it should feel as if it originated from them and reflect their perspective. If messaging is relevant to your market, it’s credible. To keep relevance, product messaging development should be viewed as an ongoing process, not an end-point – even within a product launch timeframe. Nimble messaging based on market conditions and opinions keeps interest going. View your internal organizational teams (including those not directly involved in the launch) as key clients and stakeholders of communication efforts. A cross-functional team from across your company should be created and charged with ensuring organizational readiness for the product launch. They should communicate the benefits and problem-solving features of the product early and often, especially to client-facing functions. Ensure those who will provide service are fully equipped and can articulate product advantages. Provide communication and educational tools for the sales function that directly plug into the sales process points. Senior leadership also must champion this organization-wide communication and education effort. When leaders consistently leverage clear, compelling messaging with internal audiences, they can effectively create a company-wide sales and marketing force ready to promote the new product. You can also provide social media tools for employees to generate excitement in their personal networks about the launch. Learn from the challenges, but celebrate the victories during the product launch cycle. Far from mere rah-rah activity, celebrating accomplishment is a key human need that keeps positive momentum through the launch effort and beyond. Emulate servant leadership by intentionally and relentlessly ensuring your product launch teams are valued, recognized and celebrated. See checkpoint #1 again. Absolutely, positively, without fail, require that cross-functional lessons learned are compiled during and after launch, and made easily available for review. It’s an important investment in the future as you plan and develop your next world-changing product. 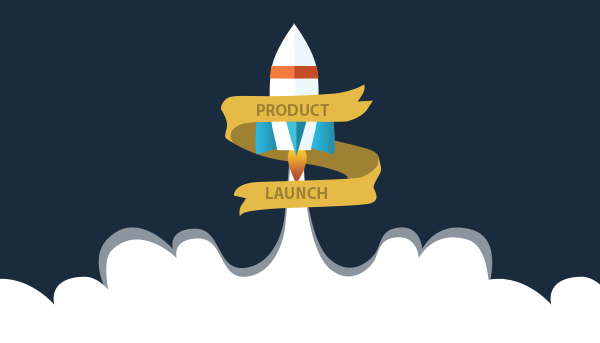 Amp up your next product launch with GrowthMode Marketing. Our team of seasoned B2B marketing veterans can help you create a winning plan to ensure your new offering gets traction from day one. Visit our website at www.growthmodemarketing.com or call us at 651.447.4050 to learn more.